Railpictures.ca - Robert Farkas Photo: CP 4053 is in Castlegar, British Columbia on August 1, 1974. | Railpictures.ca – Canadian Railway Photography – photographie ferroviaire Canadienne. 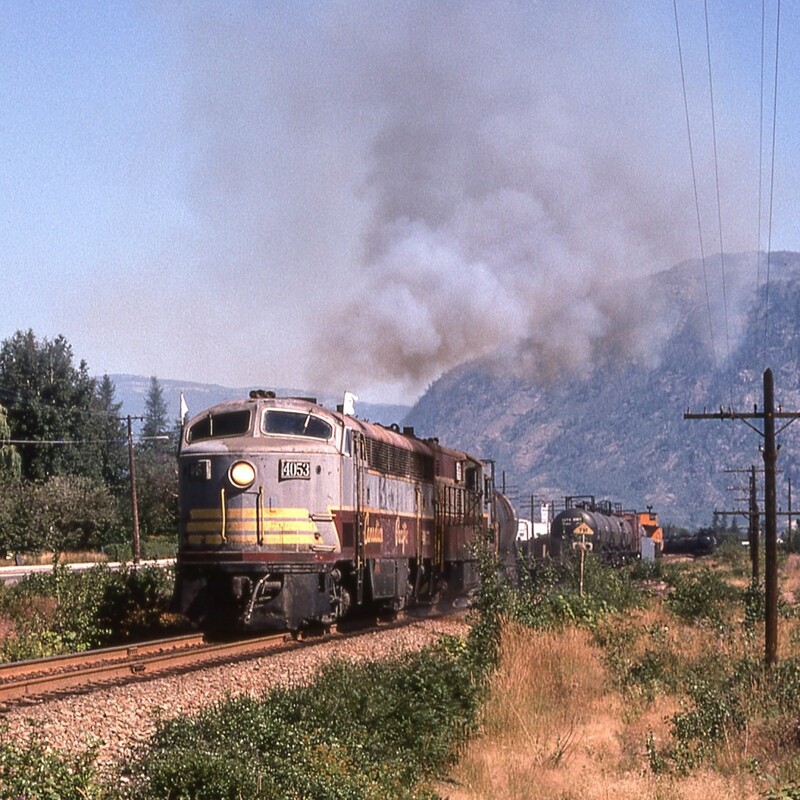 Caption: CP 4053 is in Castlegar, British Columbia on August 1, 1974. Fabulous time capture. This shot shouts power and grandeur. I agree with Jacob. That shot is spectacular. Thank you. I was blessed to be in British Columbia for about a week in 1974. Beauty! Just screams CP in BC.